The Tubby Hook Paddle Company is operated by Julie McCoy, and was formed to share her passion for paddling in New York City and the surrounding region. Programs are generally referred to these as either courses or journeys. All courses include a journey element, and all journeys feature opportunities for participants to play and practice in a variety of conditions. Courses are more structured and have specific learning objectives. Journeys are more open-ended, typically organized around a particular destination or feature. Click on the Scheduler to sign up for a course today. Julie is an American Canoe Association L3 Sea Kayaking instructor, British Canoeing Paddlesports Instructor, and a British Canoeing Sea Leader. In addition to starting the Tubby Hook Paddle Company, Julie has taught at New York Kayak Company, Brooklyn Kayak Guides, the Downtown Boathouse, and the Inwood Canoe Club. 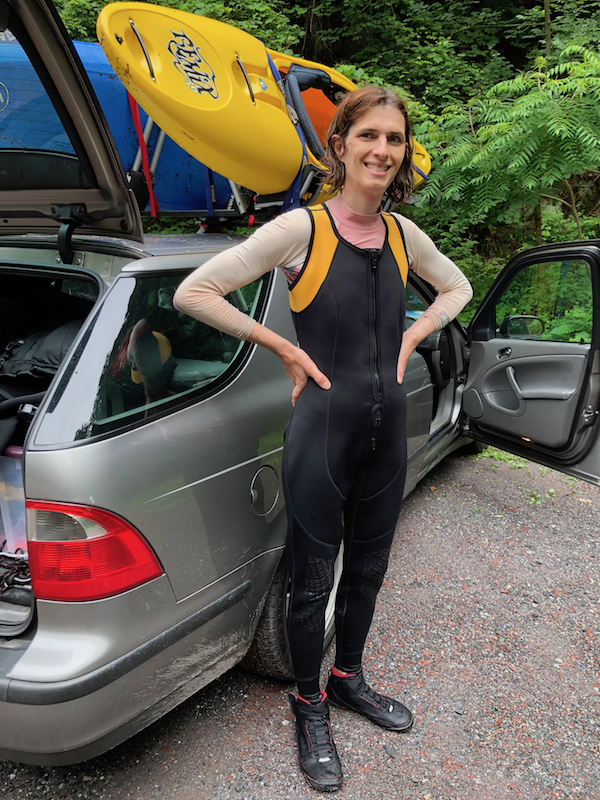 She has paddled in Boothbay, ME; Westport, MA; Key Largo, FL, and of course at various points in New York, New Jersey, and Long Island Sound, as well as the Isle of Skye in Scotland. She continues to develop her skills and learn from the best. You can write Julie directly: jkm@tubbyhook.com .